Lucky’s Doughnuts is a gourmet doughnut shop located inside of the 49th Parallel Cafe on Main Street. They have everything from your classic glazed doughnut, to more unique flavours like peanut butter and jelly and bacon apple fritters. Any time I’m on Main Street, I have to stop by for a doughnut, so when my friend Melissa and I were in the area and looking for coffee and dessert, I knew where we needed to go. Their honey glazed doughnut is a great execution on a classic and really puts the Tim Hortons version to shame. When I think of doughnuts, this is exactly what I think of. The dough was light and soft and it was covered in a simple sweet glaze. The salted caramel doughnut is epic. I automatically love anything with salted caramel, and this was no exception. 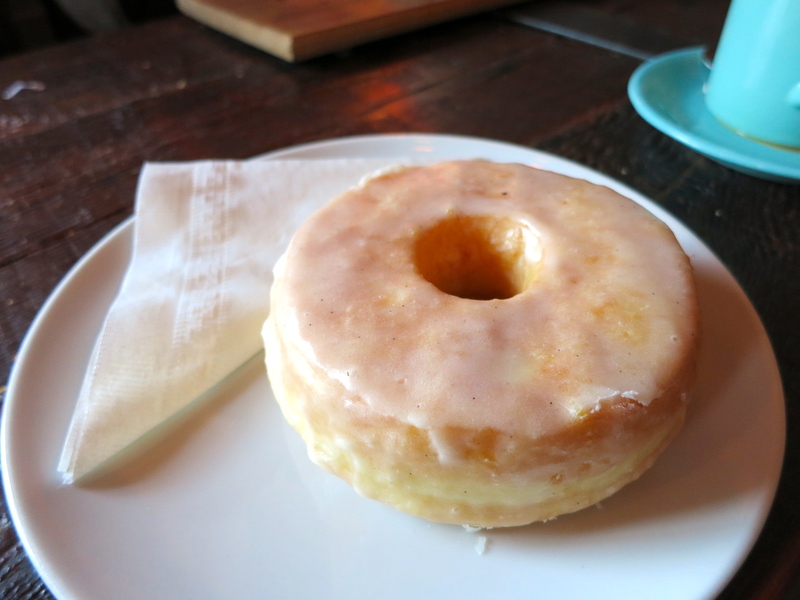 The doughnut itself was a dense moist cake doughnut. 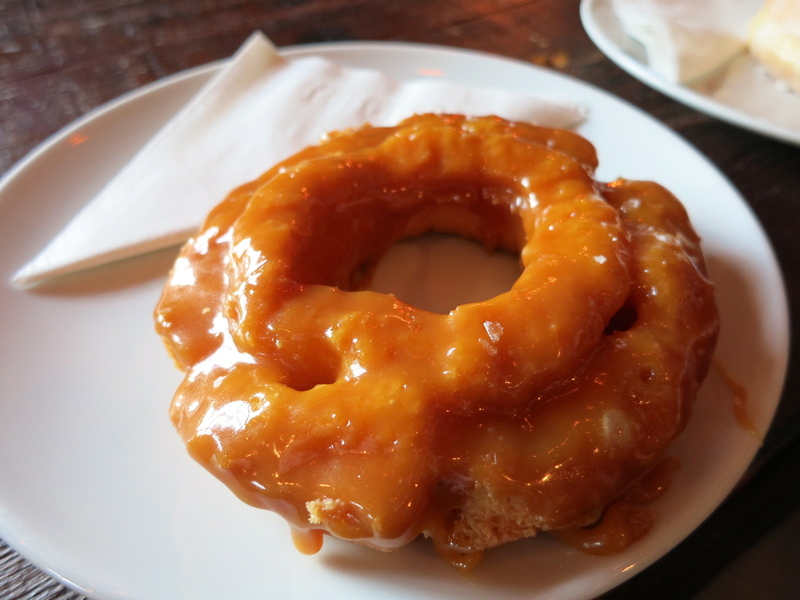 The salted caramel glaze was super sticky and sweet and smothered the whole ring of the doughnut. This is the perfect treat for someone with a sweet tooth. I also ordered a genmaicha tea, which is a green tea that contains roasted brown rice. The tea was earthy and clean tasting. It was perfect to balance the sweet doughnuts. 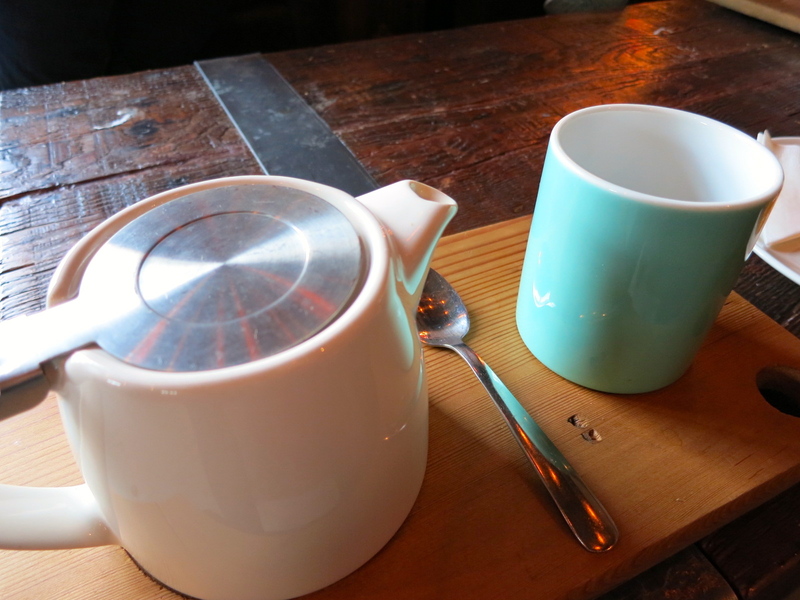 I also love the cute tea platter they give you. It’s probably a good thing that I live far from Lucky’s, because if I lived in the area I would be broke and fat. They have a great atmosphere, great drinks, and great doughnuts, what’s not to love? Yes, for the best doughnuts in Vancouver.